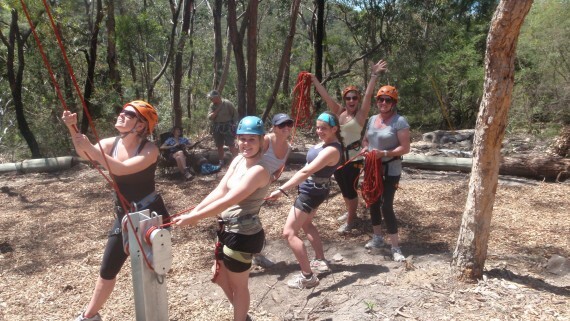 Zip Lines / Flying Foxes are one of our most popular elements. There are many various ways to build them. 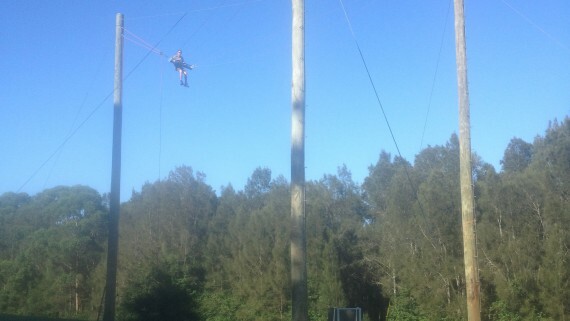 Hi Tension and Hi Speed Zip lines. 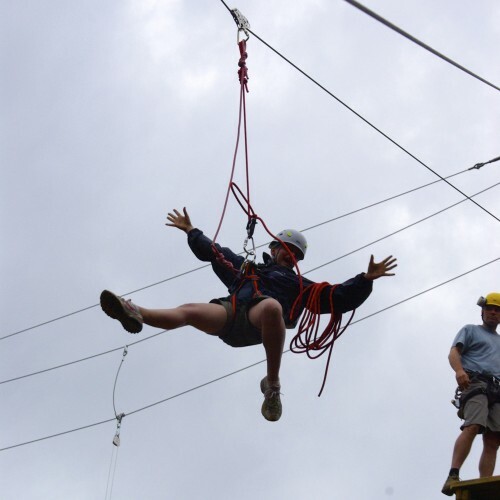 Traditional Zip lines for education centers. 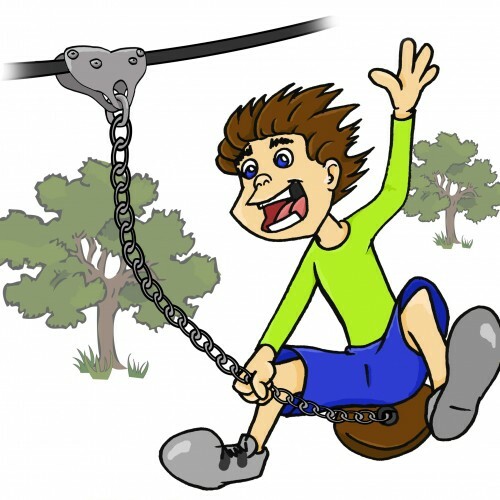 Playground Zip Lines, suitable for unsupervised use. 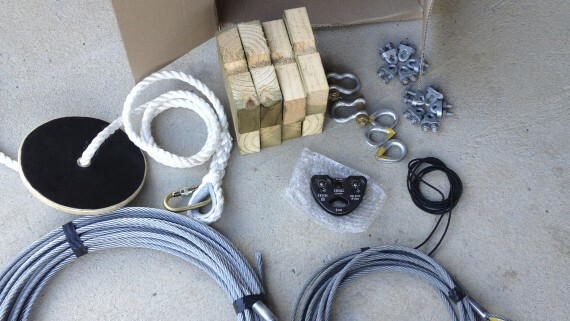 DIY Zip line kits. For home or group use. 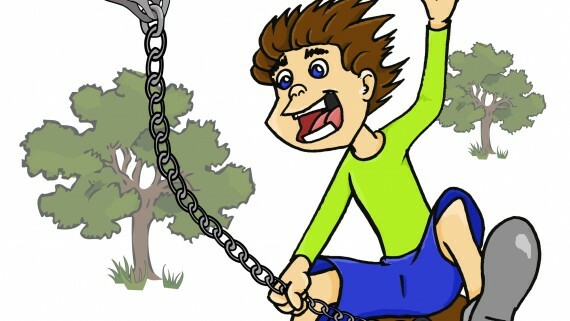 When Designing the Zip line, there are a number of important things to consider. Will it be used commercially or in a domestic / not for profit environment. This may affect you legally. 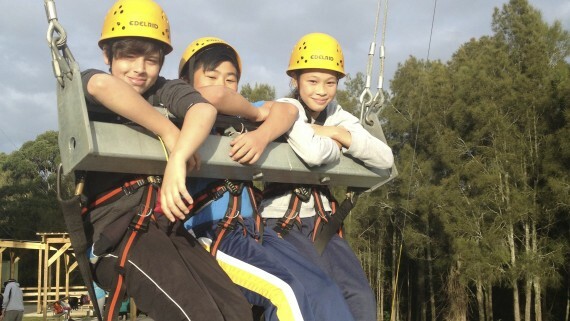 The throughput capacity should be considered, particularly if the zip line must make a profit. 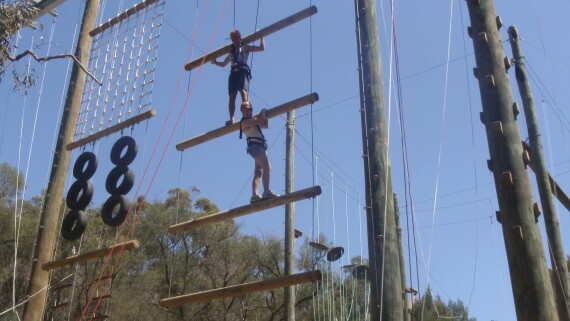 Refining the access and the dismount methods can improve throughput. 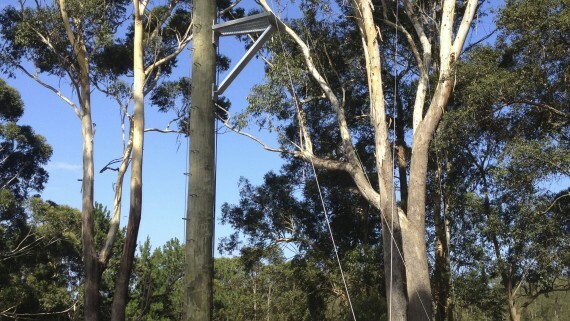 EG placing 2 or 3 zip lines parallel to each other can triple throughput with no extra staffing required. Making access more simple, with staircases can also improve throughput dramatically. A thrilling fast ride must come to an end, and the breaking style should be considered too. 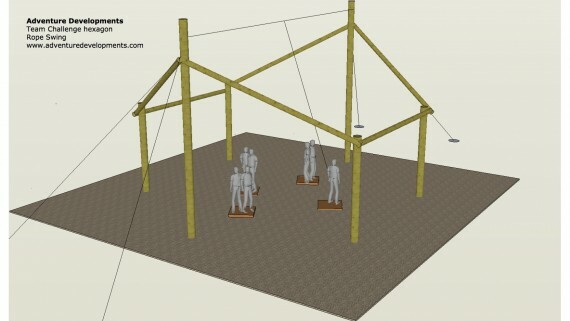 As you can imagine we are asked all the time if we sell kits to make a zip-line, so we have put one together. 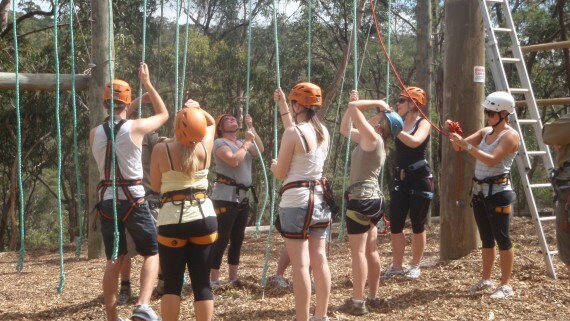 Normally Zip Lines / Flying Foxes at outdoor centres and school camps are quite similar, in terms of the way they are operated. 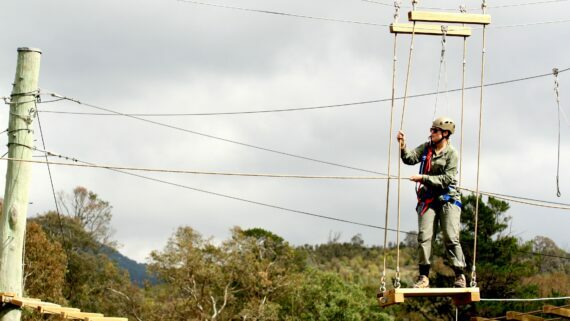 Riders are attached to the wire via an attachment rope and trolley, after their ride they stop about 3-5 meters off the ground and lower themselves down with a descending device, an Instructor controls their descent by holding the end of the rope. The trolley is then either returned to the top of the zip Line, via person power usually. 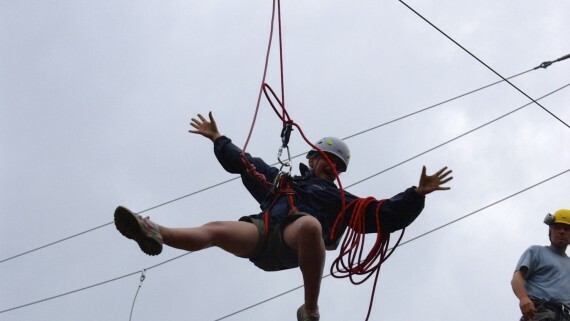 Running stops are becoming increasingly common, especially as a form of egress from a tower or a ropes course, this also allows operators to safely reduce staffing ratios, as no instructor is required to ensure a safe dismount if the riders feet are safely on the floor. 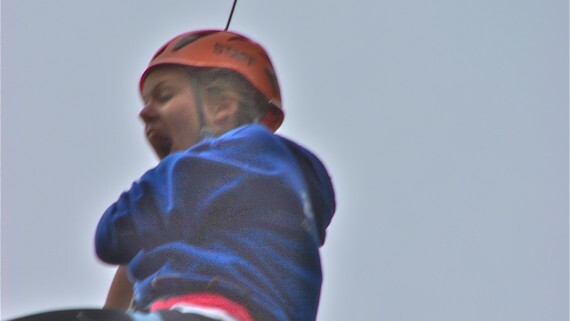 Consist of a system of Zip Lines. 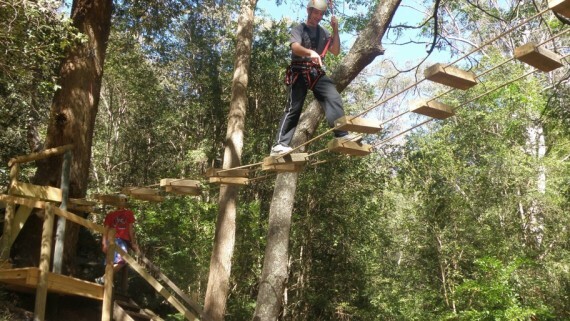 Rope bridges and abseils which participants ride to take an exhilarating journey through the forest. This type of course works best in taller mature trees. 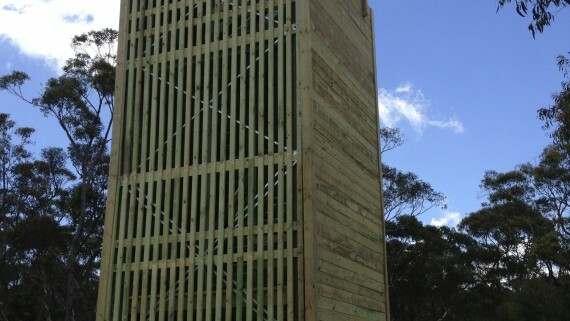 We can also incorporate, tree houses and viewing platforms made from various materials and in many themed styles. 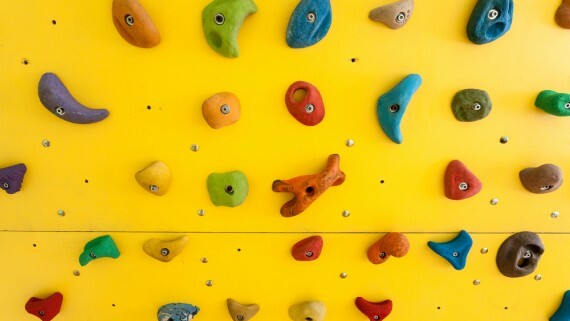 These act as “Rest Stations” to catch your breath and get a drink, and as emergency access points. 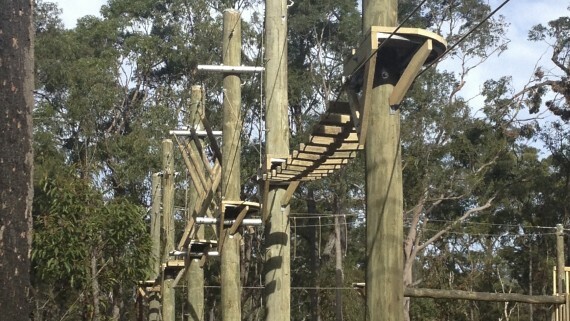 Adventure Developments are experts in the design and installation of Challenge Ropes Courses and Zip Lines/Flying Foxes. 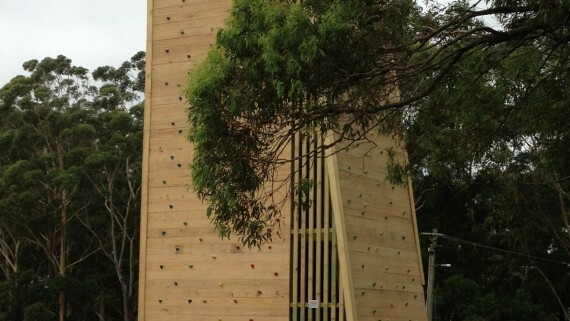 Our fully engineered, unsupervised Zip Lines are suitable for public play spaces and fully compliant to all relevant Australian standards. 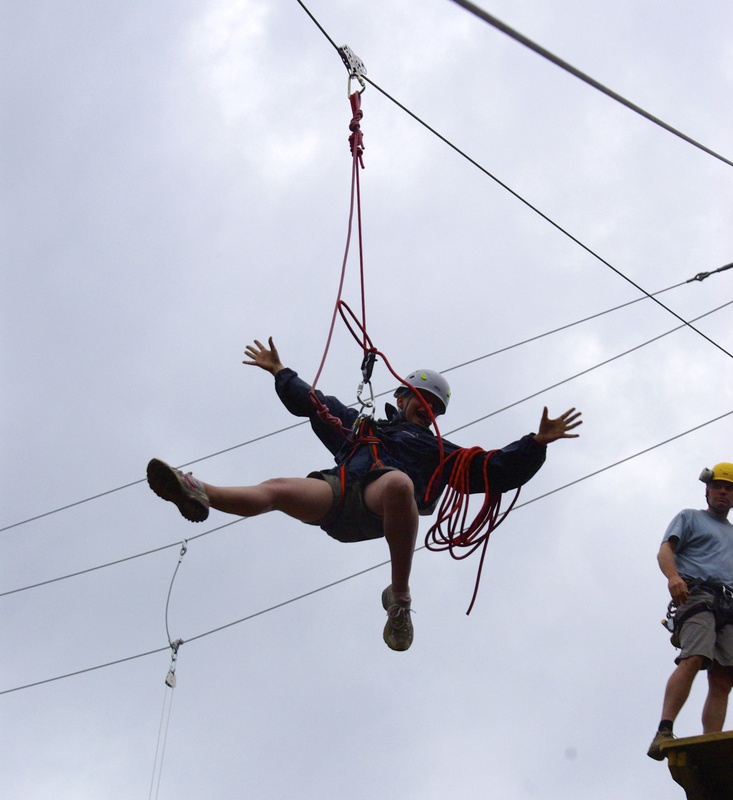 Adventure Developments is experienced in designing Zip Lines to achieve the most fun ride. 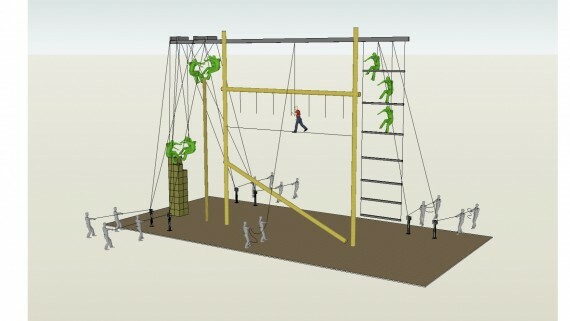 AS 4685.4 gives very clear guidelines on how a Zip Line within a public play space must be designed. While working within the standard, we believe our fox offers a more fun ride than those currently offered. 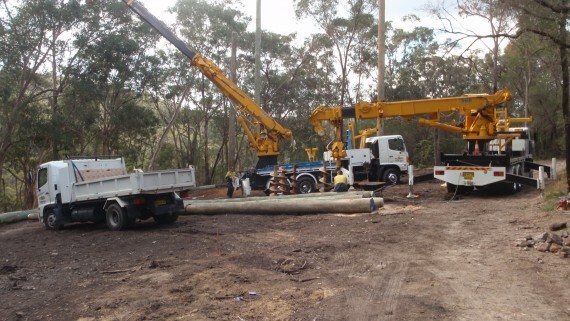 We can do this because each Flying fox is built on site to best fit the local topography. Be approx 30-40 meters long and on a gentle slope. If no slope exists some landscaping will be required. 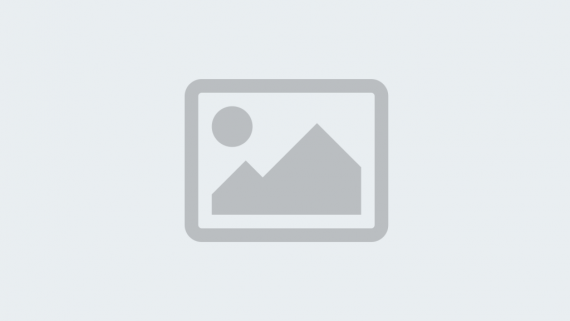 Use timber or steel poles, depending on local environmental factors, and aesthetic theme. Have a safety surface beneath the entire runway. 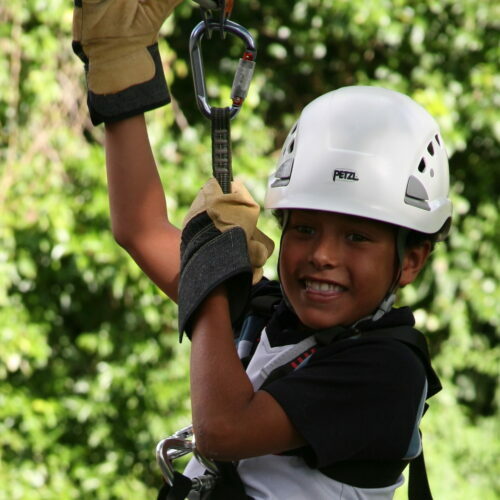 The playground flying fox requires no specialist training to operate. It has been designed for use in public play spaces and playgrounds, so clients can operate it with no instruction required. 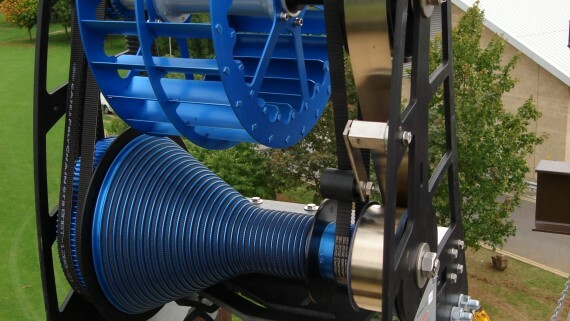 Each component has been designed with longevity and resistance to vandalism in mind. 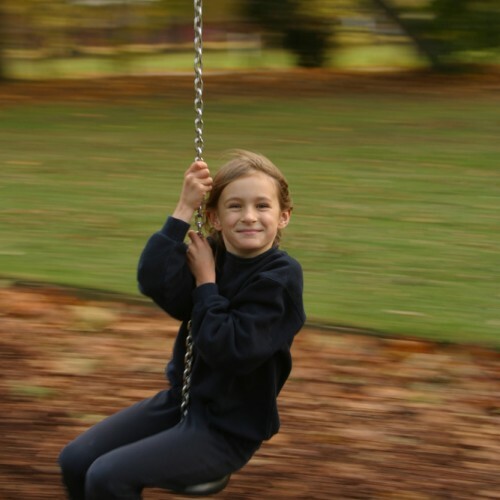 The flying fox is often the most popular activity in playspaces which have them. 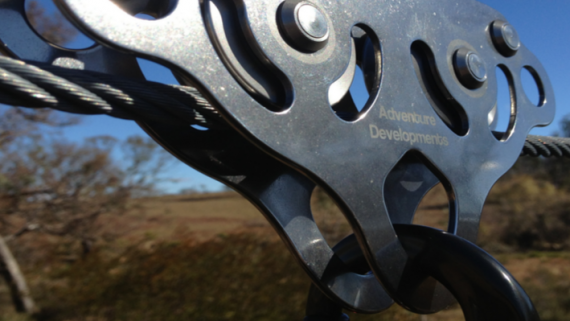 With this in mind we have designed the fox to be as resilient as possible and have custom made or sourced all hardware to withstand extreme levels of use. 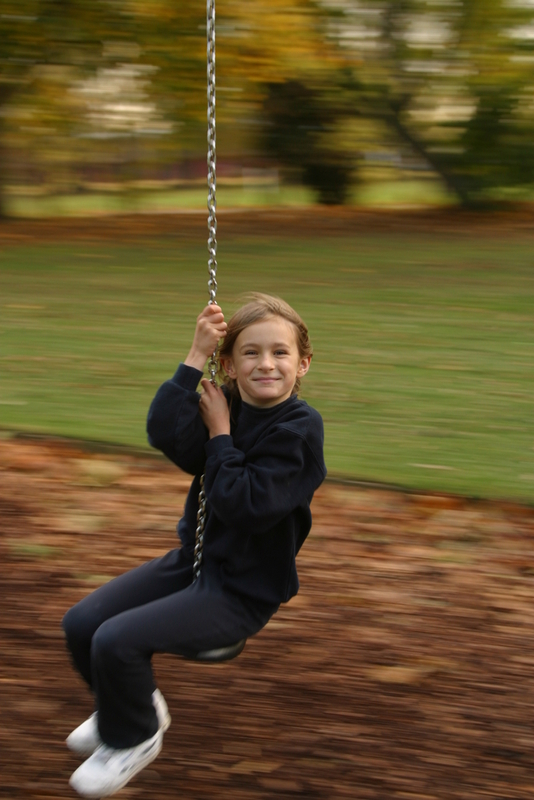 Naturally the Flying fox is fully compliant to all parts of AS 4685 2004 (Playground Equipment). And AS 4422 (Playground surfacing). 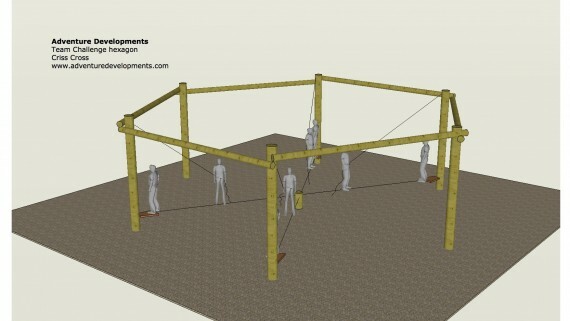 In creating the playground flying fox. 10 Year warranty on our workmanship. Final inspection and proof loading. Handover training at your site. Inspection after 1st year of operation is included. Space required: 1.5 meters each side of the wire. Removable staples to limit access. Soft fall / ground cover.